Kymee had a melt down at the store today. I had the audacity to tell her she couldn’t pull a child’s suitcase around the store and fill it with everything off the shelves. I know – I’m a horrible mom. 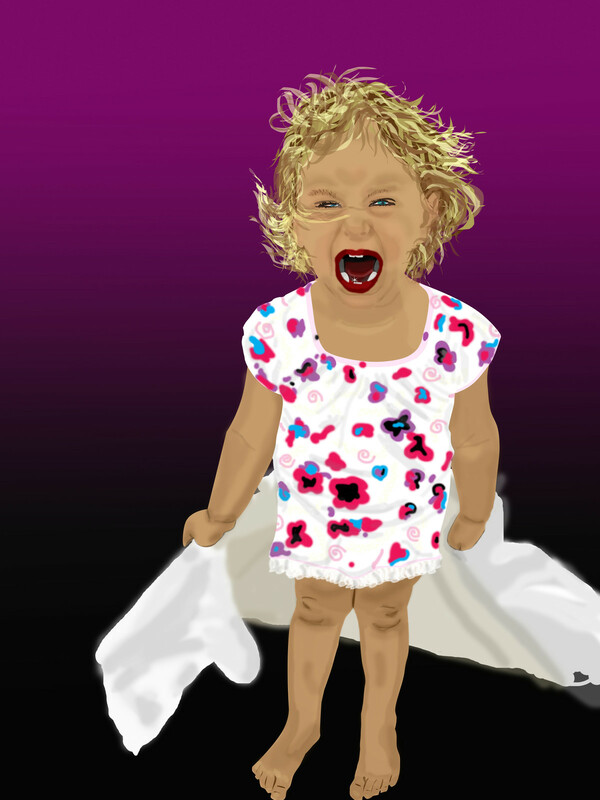 She fell to the floor and started crying and screaming her high pitched wail … and didn’t stop – I did. I stopped. I stopped shopping. I stopped breathing. I stopped thinking like a rational adult. glared at me as if she knew how to parent better than me. I tried to reason with my three year old. Disclaimer: I already told you I had stopped thinking rationally. I tried to hug her and pat her back. She kicked me and screamed louder. What I really wanted to do was sit down next to her and cry and scream with frustration. Instead, I looked around for the closest exit. I would have known the fastest way of escape with a screaming toddler. I left my cart in the middle of the isle – at this point I had to make a choice between offending the poor clerk who would have to restock my stuff or the poor customers who had to listen to Kymee scream. I choose to offend the clerks. Now all my “Food Nazi” friends can judge me – you know who you are: you are the ones who posted Face Book pictures of the inside of you fridge to brag about how healthy you eat – or to make the rest of us, who sometimes feed out kids nothing but bananas all day, feel bad. But today, God gave me peace through a McDonalds – because as soon as we turned into the drive through line, Kymee stopped crying. She sniffled and swallowed her sobs along with the French fries. I stopped singing. Rational thought returned. I survived to tell the tale. I survived the ridicule and stares of strangers. And I learned it’s not over til the fat lady sings, and buys french fries.